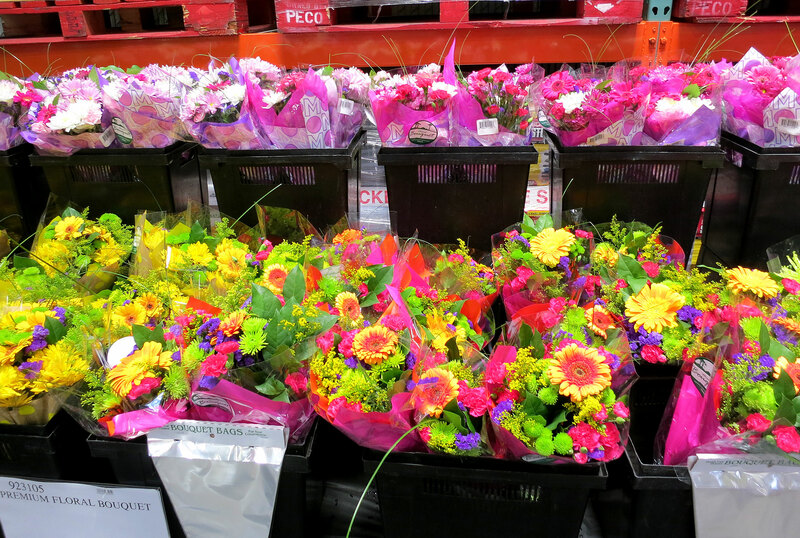 Costco is one of my very favorite places to shop and I think it is for a lot of people. There is no doubt you can get really amazing deals on certain things like milk and toilet paper and cool Christmas presents for people. I wanted to go over some of the best things you can get for your money at Costco, but then I also wanted to go over a couple things that are not good deals at all for most people that you should try to avoid when going. They are quite visionary in their niche of the market and are doing quite well. Take advantage of their great price on things you will use up completely, and don’t fall for their traps of things they want you to buy! Plan on spending about ½ the price of what you would pay at grocery stores and even national chain pet stores. If you have multiple pets, Costco is the place you will want to buy dog food. Every parent knows how fast diapers and wipes tend to be used up. You can score great prices on them at Costco. Use their in store coupons to save even more. Forget going to the florist. Costco has the best prices around when it comes to live greenery, plants, and even trees. Are you addicted to cheese? Then you know how pricy fresh cheese can be. Costco has so many varieties of fresh cheese, but without the fancy prices. You can usually buy a gallon of milk for about $1.89 a gallon, which is usually at least a whole dollar less than other grocery stores. 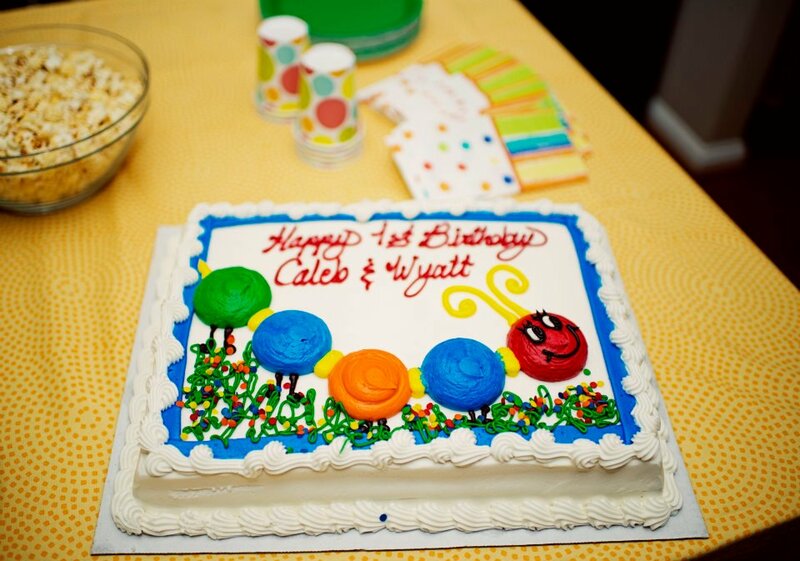 Celebrate a birthday with a huge customized cake for less than $20. Take your precious photos to Costco who seems to always be running the best deal in town. Buy bread goods at Costco in bulk at a great price, then freeze them for later. You can’t beat the quality or price of Costco paper products. They are perfect for a large family! It’s best to avoid bulk purchases of perishable items at warehouse clubs, not matter how tempting the price, if there aren’t enough people in your house to consume them quickly. That is literally throwing money (and good food) away. Buying things like medicine at Costco can be another waste of money. If you are living in a house with just a couple adults, you most likely will never finish the bottle with 1,000 pills of Tylenol before it expires. No matter how good of a deal it is, it can be very wasteful to buy way more than you need just because it’s a good deal. Buy a normal size bottle at a regular pharmacy and you will save a couple bucks and not waste half a ginormous bottle. Costco can be one of the best places to find great deals on the latest technology for different appliances and things. Recently, we were looking for a fridge and went to Costco to check out what they’ve got. Our budget was $800. We didn’t find much in the way of the lower end of fridges, but we did find a $4000 fridge that I believe had a camera in it so if you are at the store grocery shopping you can check on your phone if you have enough milk for your cereal tomorrow morning. While I’m sure $4000 is a great deal for a top-of-the-line fridge like this, don’t get swindled by good deals out of your budget. 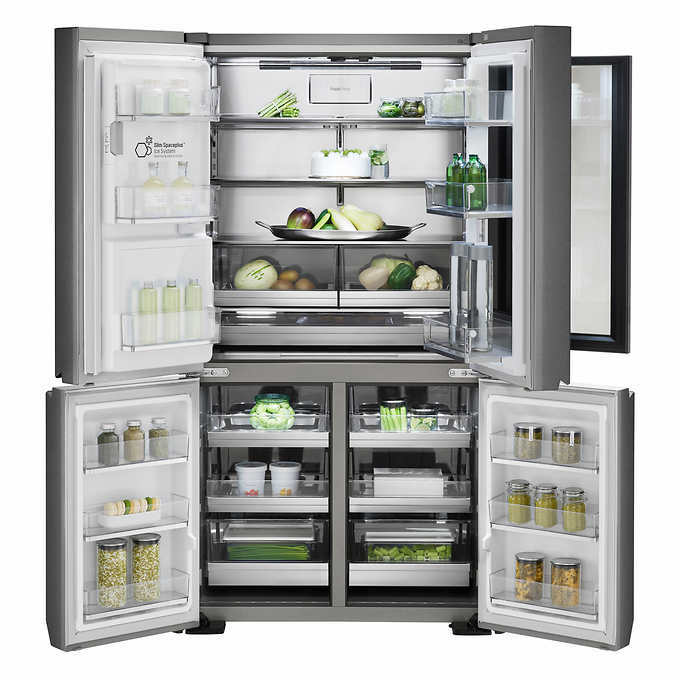 Here is an inside look at a really fancy fridge that costs a mere $7,399.99 at Costco! On a smaller scale for an example like this, recently I also needed a new kitchen garbage can. Costco had really great deals on fancy metal ones with lids that automatically open for you. I was very tempted because it was “such a great deal” but ultimately made the wise choice to get a regular plastic one at Walmart for $12.88 rather than pay $60+ for the fancy one at Costco. Maybe this is more for young families like mine that have to be a bit more budget conscience. There are a lot of lucky people that can buy cool garbage cans and fridges and to that I say—good for you! You’ve earned it! Maybe someday I won’t have to throw away my garbage the old fashioned way soon—by lifting the lid myself! Are there any things you steer clear of buying at Costco? Or any things you would add to the list of great deals at Costco? Please feel free to share in the comments below.